Coming to PC, Mac, & Linux in 2019. 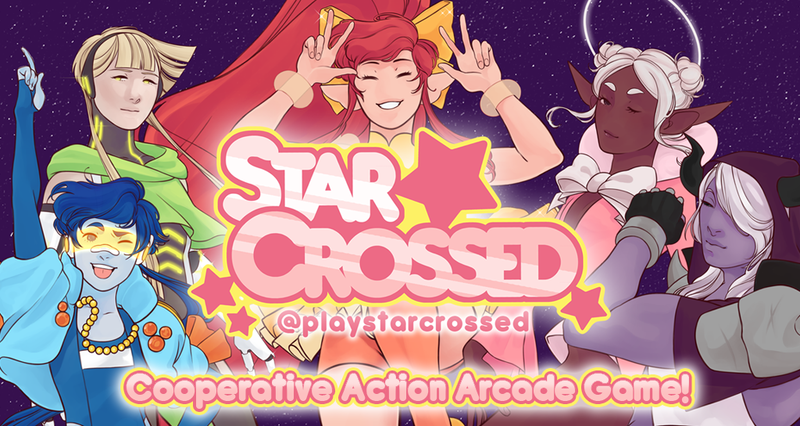 StarCrossed is a local co-op arcade game heavily inspired by classic "Magical Girl" media. Our mission is to provide an experience that focuses on collaboration and teamwork. The game is designed with 2 players in mind, and will test both players' skills as they work together. This cooperative take on the classic shoot 'em up genre forces the players to carefully position themselves and take out enemies with a projectile that bounces back and forth between the players. Timing and teamwork are key! Each player is able to fly around freely as a star automatically bounces between the two players. This star acts as your weapon, vanquishing enemies on collision. Completing levels and progressing through the game will require you to dodge enemies and projectiles while destroying them with the star! By timing your button presses, you can "StarBoost" as your star bounces off your character. This increases its size and speed, and can be used to charge your Ultimate. Each character has a unique Ultimate which you can activate for a massive attack! The game will feature both a Story Mode and a Survival Mode! In Story Mode, you'll control the team as they fight back against a threat to the universe. The Harmony Crystal, a symbol of peace and union between all galaxies, has been stolen by a new threat. 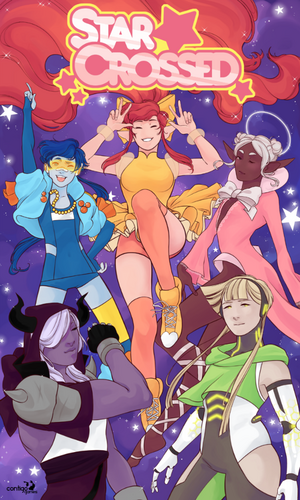 In times of dire need, the Crystal chooses champions to protect it and and keep the galaxies unified. The story will be told as you travel from planet to planet, defending them from harm and learning more about the characters. In Survival Mode, it's an all-out race for points against increasing waves of enemies. The longer you play, the harder it'll get, so it's up to you and your partner to play your hearts out and reach for the stars. Your scores will be saved for easy viewing, and even be visible on a Global Leaderboard! Come say hi! We would love to hear from you.